Week #2 The Team 4PLAY! We've been getting a lot of feedback! 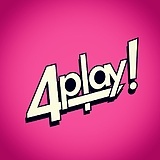 And what better way, for you, to get to know 4play, then to have US answer YOUR questions directly! I enjoyed this video. It reminded me of the Jimmy Kimmel show in how celebrities would read mean tweets about themselves. Funny stuff. I liked that team video that was well done. haha Are you Chaz Bono? I saw many of the same comments of how other team's videos are awesome... from team 4play.... can you guys at least be a little less lazy and write some individual comments rather than straight forward copy and paste ? There are so many talented people apart of this competition. We were trying to network with everyone. Thanks for the heads up. Did you guys go to Ryerson? None of us did, no. We went to other schools. Taking a shot at corner gas, risky play. lets see if it pans out for them. It's all in good fun, my friend. Can't wait to hear these guys bust out a tune! Funny stuff gentlemen. You got some funny going on there Dave! You guys rock! Keep it comin'! Fellas this was awesome - most original team vid I've seen so far. Chaz Bono bit killed for me. Best of luck going forward - from your friends at Fruit Farm. Thank you so much, Justin! I laugh every time I see a 4Play video. 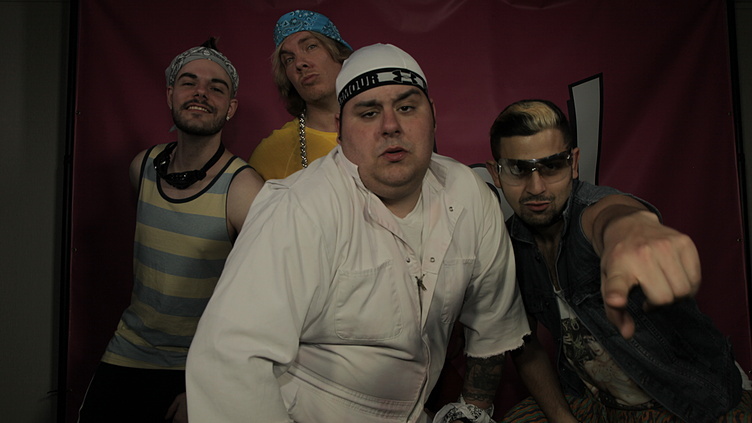 These guys are hilarious. It's fun to see the band member's characters come alive even more!